While camping at Trails End, you can literally ride right up to the front door of your RV, or if your tent camping, right up to your front flap. We urge you to make reservations early as the campground does fill up. And Yes! We're pet friendly! Trails End Campground is a full service campground located just outside the little mountain town of Huntsville, Tennessee. 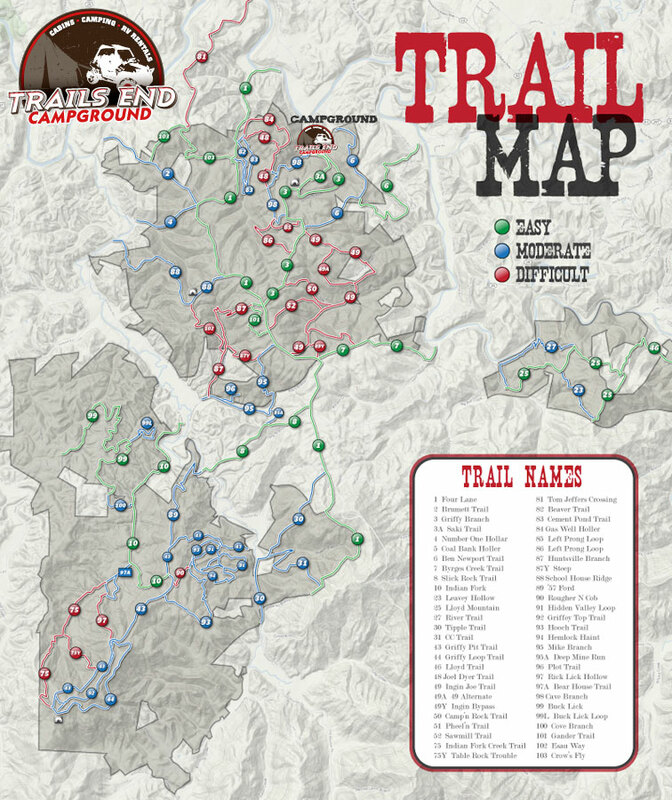 The campgrounds are in close proximity to the North Cumberland OHV riding area covering 150,000 acres and over 600 miles of trails. Trails End services a variety of Cumberland Mountain OHV trail systems. 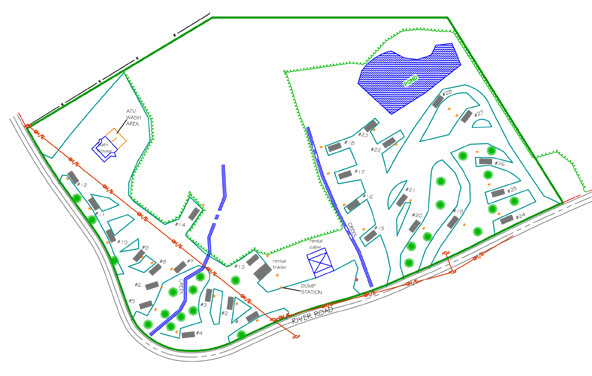 Due to Trails End Campground being a true ride in-ride out campground and the on premise operation of off road vehicles on the campgrounds property all riders must sign a Trails End Campground Release of Liability upon check in. Download Release Form Here (PDF). Note: There are 22 Total Pull-Through Sites that will accommodate up to a 45 foot Class A Rig. Toy Haulers, Diesel Pushers, and Class A Motorhomes are Welcome! All campsites have direct trail access. Car/Tent Camping is unlimited and is defined as camping in a tent but next to your car. Trails End offers a few 30 amp RV sites on a first come first serve basis for tent campers that still like the thought of being on the grid and having running water.